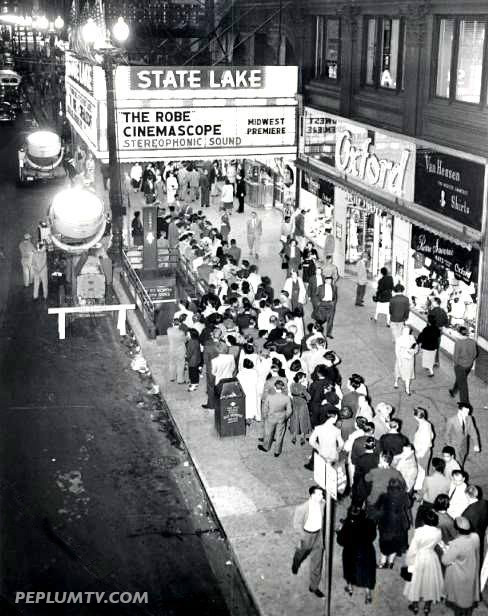 The "Midwest premiere" of THE ROBE. People were so sharply dressed back then. Notice how Cinemascope is as big as the film title. I remember my Mom and Dad taking my sister and I to see this movie and I guess that I was 4-5 years old. This movie stuck with me and was the start of my interest in the epic movies. I was also a very avid fan of all Sci-Fi and Western movies growing up.